There are definitely so many great perks for being a Disney Vacation Club Member! There will be special Membership Magic events coming up this holiday season that members won’t want to miss. In October, reservations will be available for two different holiday celebrations coming to Walt Disney World. One will be on Christmas Eve (December 24th) and the other on New Year’s Eve… Eve (January 30th). Disney Vacation Club Holiday Dinner Party: This amazing party will be held on December 24th from 3 PM to 5 PM. It will be in the Fantasia Ballroom at Disney’s Contemporary Resort. The tables will be private and custom-sized to enjoy the delicious meal. The event will also feature photo opportunities from favorite Disney characters. New Year’s Eve…Eve: This event will be held on December 30th from 10 PM to midnight. It will be held in the Fantasia Lobby and Porte Cohere at Disney’s Contemporary Resort. This is a fun dessert party that will feature snacks and amazing desserts, plus a DJ dance party. There will also be special activities for kids and photo opportunities with characters from The Incredibles, Inside Out, Finding Nemo, Up and more. Guests will also be able to enjoy the Magic Kingdom fireworks with amazing views. 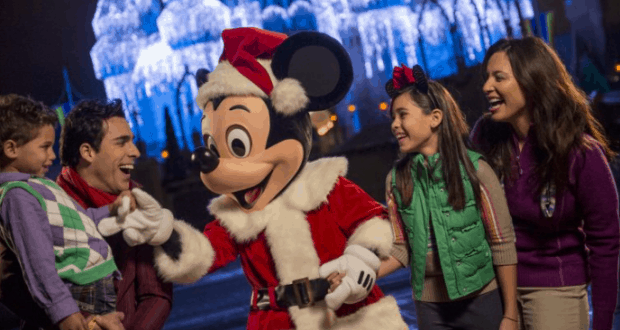 This holiday season, Disney Vacation Club Members can also get their hands on discounted tickets to Mickey’s Very Merry Christmas Party on select nights. Disney Vacation Club Members also get into the party at 2 PM, instead of the usual 4 PM entry time. Who else would love to check out these amazing DVC events?